Johnston Ridge Observatory is located approximately 70 miles north of Portland, OR. 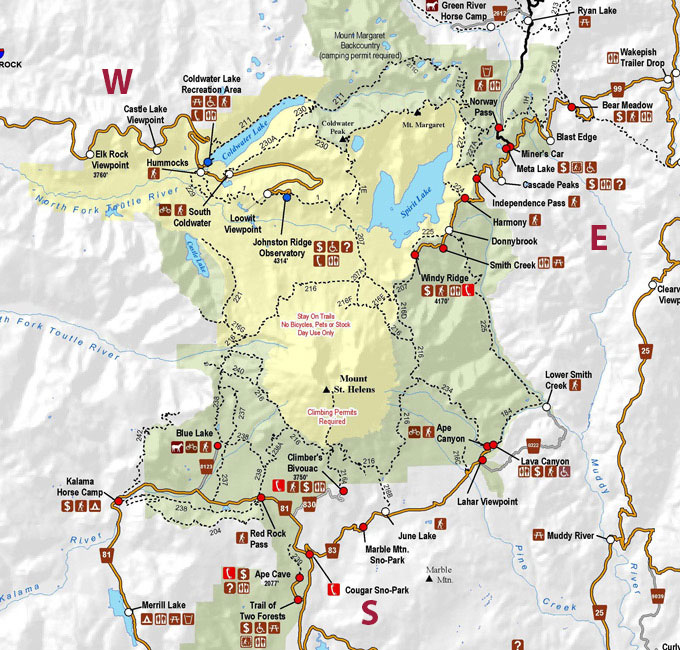 It is found within the Gifford Pinchot National Forest. This monument was set aside for research, fun and education. Inside the observatory, you will find amazing geological finds and even a “make-your-own-earthquake” machine (a kids favorite!). Johnston Ridge Observatory is located at the end of State Highway 504; 52 miles east of Castle Rock, WA. 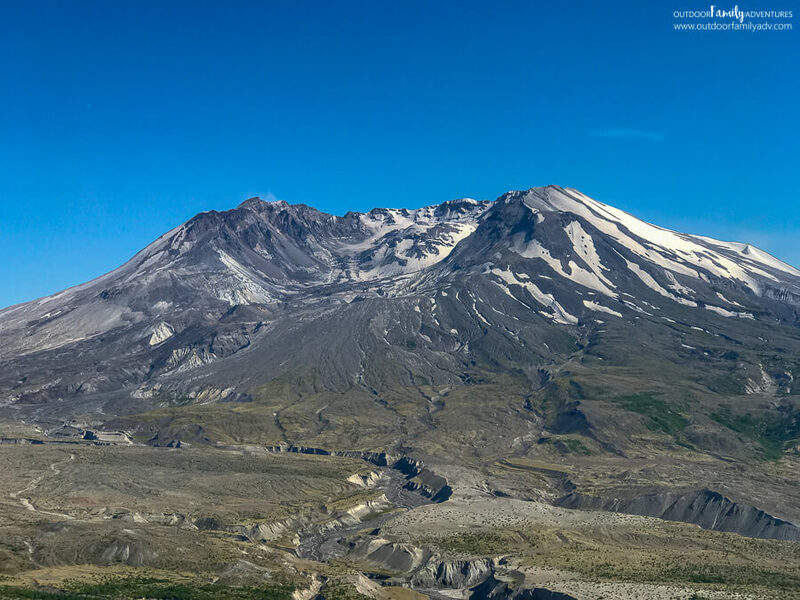 The observatory is in the heart of the blast zone offering an amazing view into the side of Mount St. Helen’s that blasted away. The observatory is located on the WEST side of the mountain. 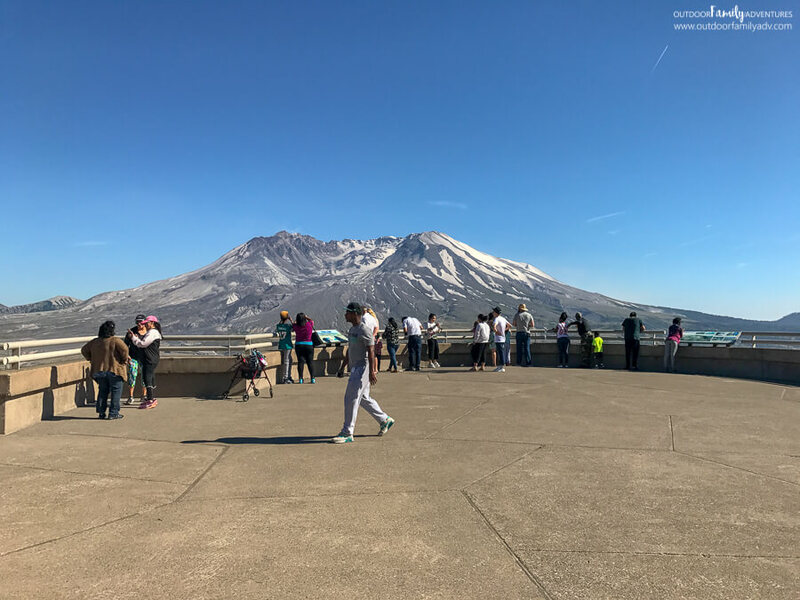 There are additional visitor centers on the East and South sides of the volcano. The parking lot is easy to find and has ample room. The walk up to the observatory is wheelchair friendly. 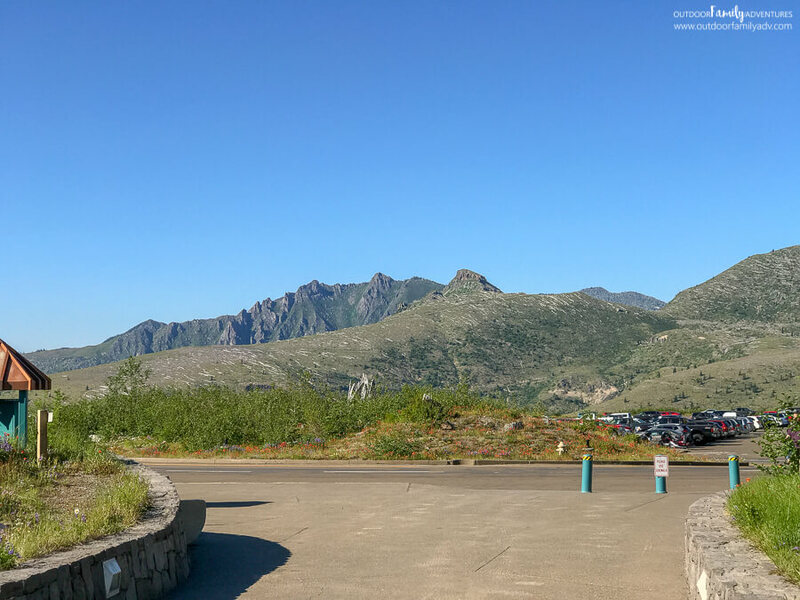 You will even have the chance to walk the wheelchair accessible trail that explores the mudflow covered canyons, leading to a waterfall plunging over an ancient lava flow. 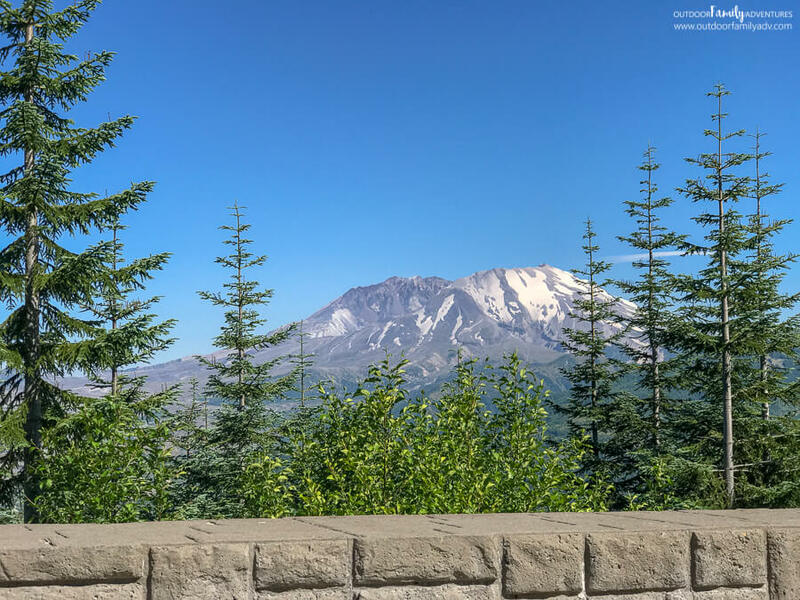 At the overlook you will find an AMAZING view of Mount St. Helen’s. There’s so much to see! My kids stood at this overlook far longer than I thought because there is so much to see between the mountain, broken trees and mudflows. Bring a camera to zoom in for some extra fun! If you have a Golden Age Pass OR if your 4th grade earned their free pass, you’ll gain entrance to the observatory for free!! If you don’t have either of these, the entrance fee is very reasonable at only $8 each. 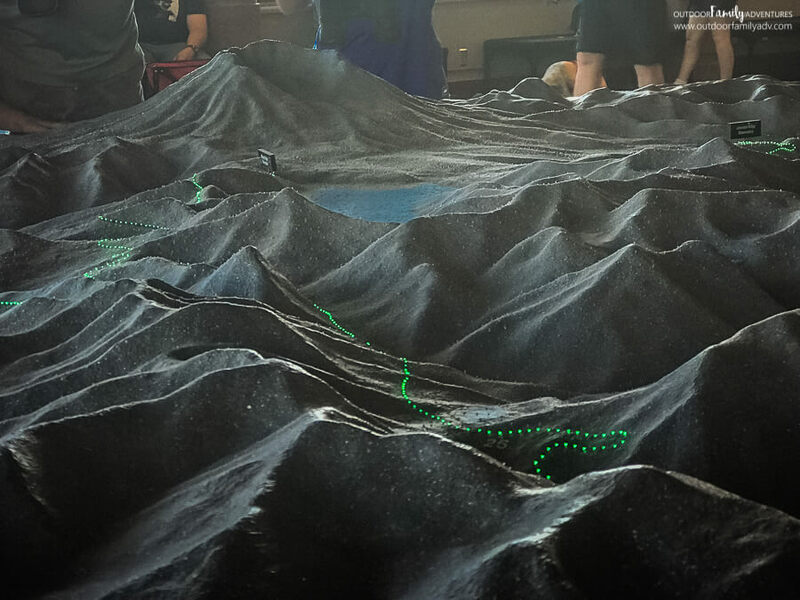 The one display that I found each kid coming back to over and over again was the display showing that path of the lava and flow. It used multiple colored lights for different aspects of the eruption. So much information and such an interesting way to display its history. 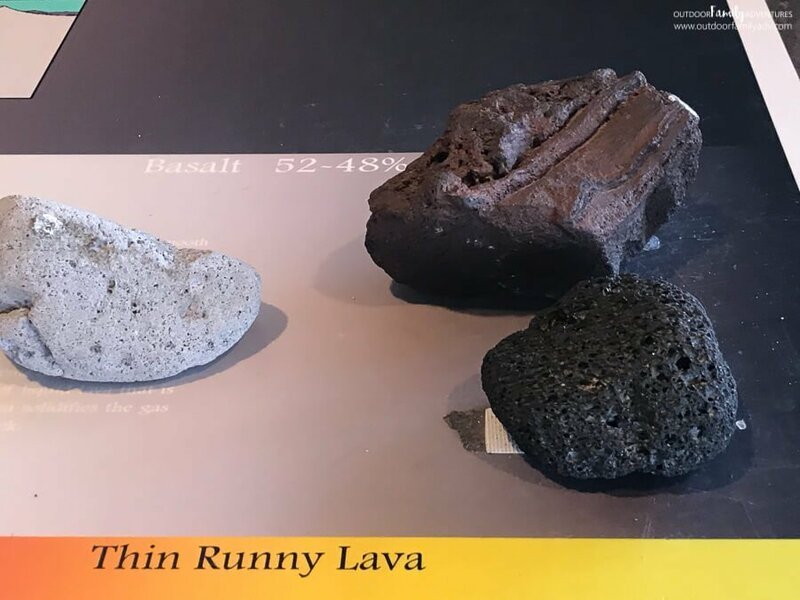 Who doesn’t want to see different types of lava?! And if you have any Minecraft fans, tell them to keep their eyes peeled for some ore that they may recognize! Without question, this display was my favorite. This tree was snapped in half by Mount St. Helen’s violent eruption. The observatory was built around this tree. That’s right! This tree is in the exact same place it was during the eruption. This is the outcome of its full force and it is completely surreal to see this up close. At the paper drum seismograph, the kids can run and jump, causing their own earthquakes. Don’t forget to find some time to visit the theater. They play a few different selections of movies. We were able to attend a show explanation how wildlife and nature flourished after the eruption. All it takes is a little bit of patience. Click here to see some additional displays in the observatory. Even the walk back to the car isn’t boring. At first glance it doesn’t seem like there’s anything interesting to see, but if you study the mountains in the background, you’ll notice that they are still covered with broken toothpick trees destroyed during the blast. Along with the observatory visit, there are additional hikes that you can do. We did not have the time to take these adventures, so we would love for you to share your photos and experience! Click here to check out the VolcanoCams! Want to turn this fun into a summer camp?! You can! Mount St. Helen’s Institute offers a variety of summer camps. One of which is a Family Adventure Camp. Sessions are in July and August. Pricing is approximately $80 per camper. Kids 4 years and younger can attend at no additional charge. Click here for more information. Drive I-5 north to Exit 49 for Highway 504E, Toutle and Castle Rock. Turn right after exiting and drive 43.1 miles on 504E through Castle Rock, Silver Lake and Toutle. At a junction, bear right for Coldwater Lake and Johnston Ridge Observatory. 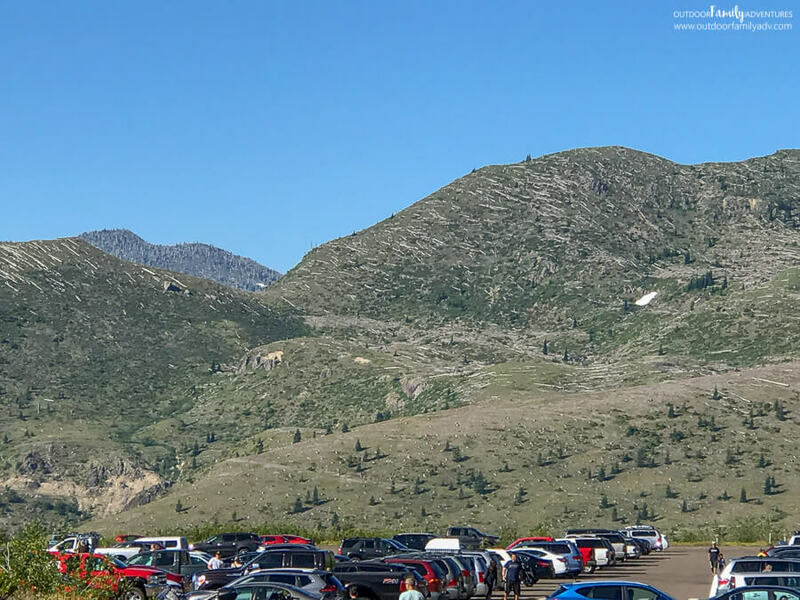 Descend, and follow the highway 8.8 miles as it ascends again to the end of the highway at the Johnston Ridge Observatory. 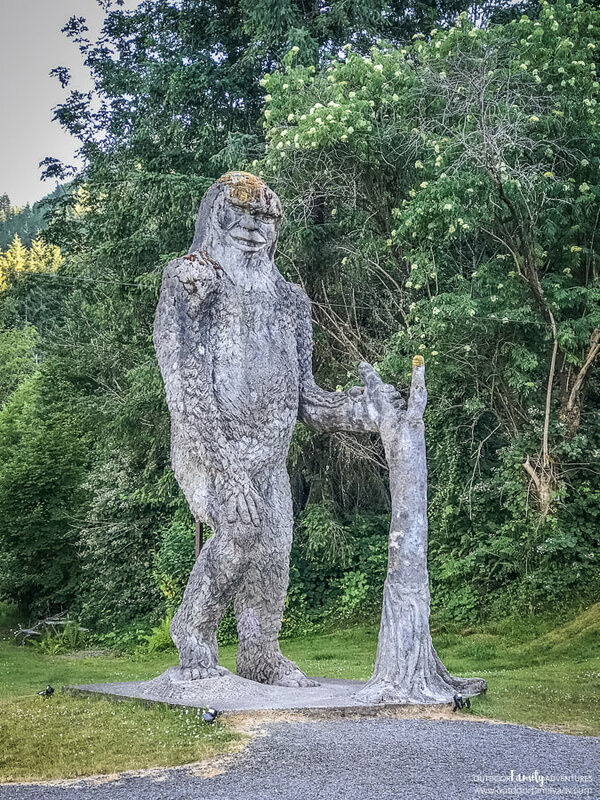 Make sure you stop to see Bigfoot as you head to Johnston Ridge Observatory! Click here more info!